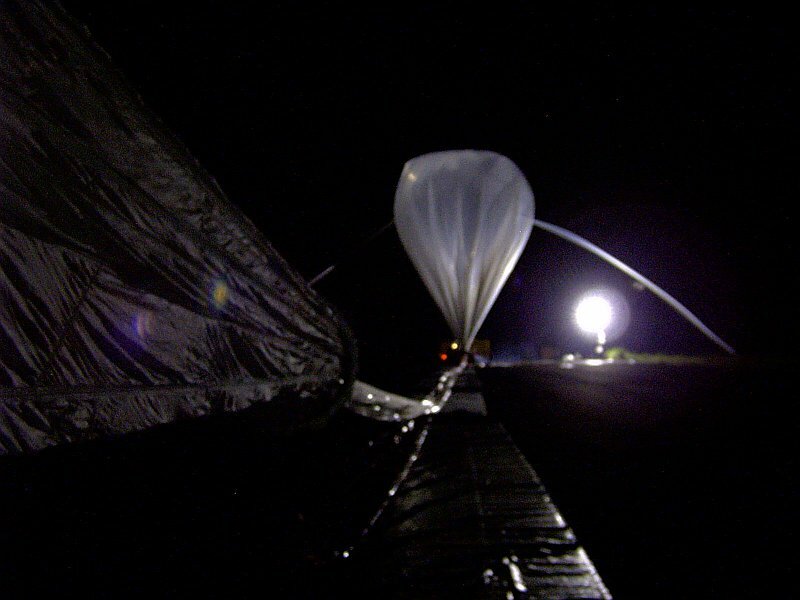 The balloon was launched at 2:04 am on April 1st, 2004, from the air strip of the Nova Ponte airfield, a tiny city of the Minas Gerais state. The craft was launched by dynamic method with the help of a crane acting as launch vehicle. 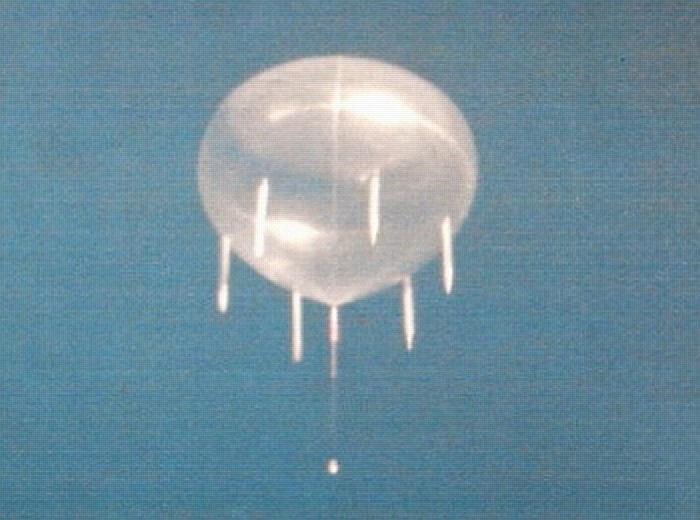 After a nominal ascent phase, the balloon achieved float altitude near 40 km of height and started a very slowly drift to the west. 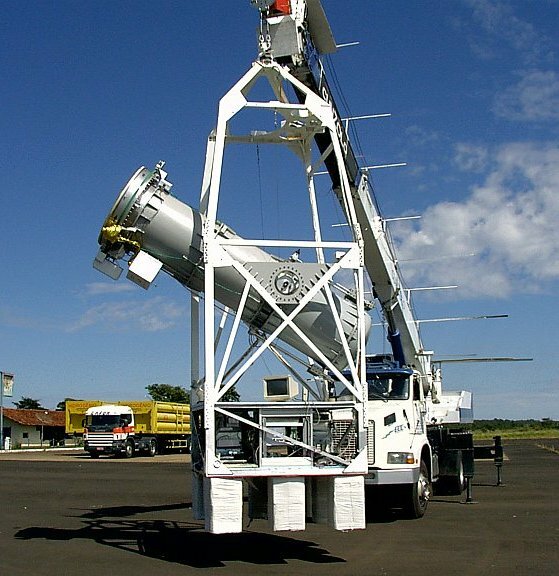 At daybreak, started de telecomanded operation of the telescope and after near 11 hours of stable flight (half of the time flight expected) was sent the separation command. 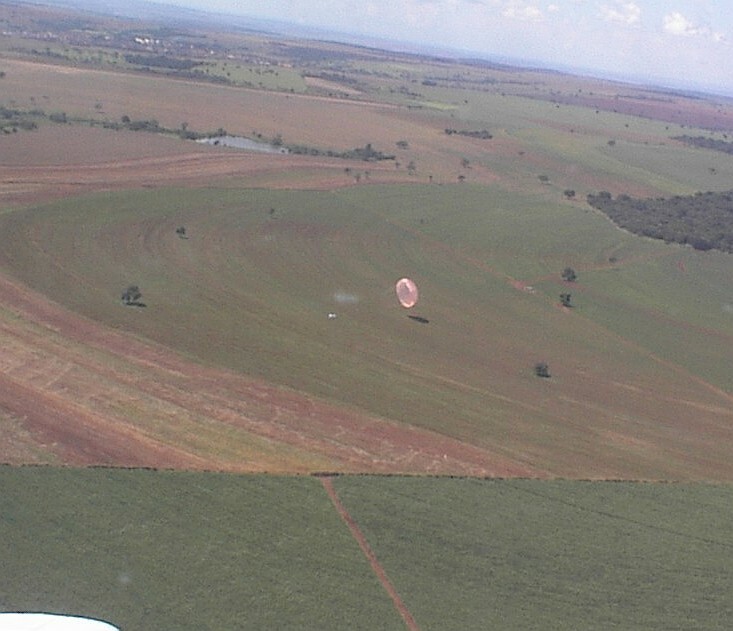 The payload parachuted to the ground and landed in a farm located near Capinópolis close to the border of the Goias state. 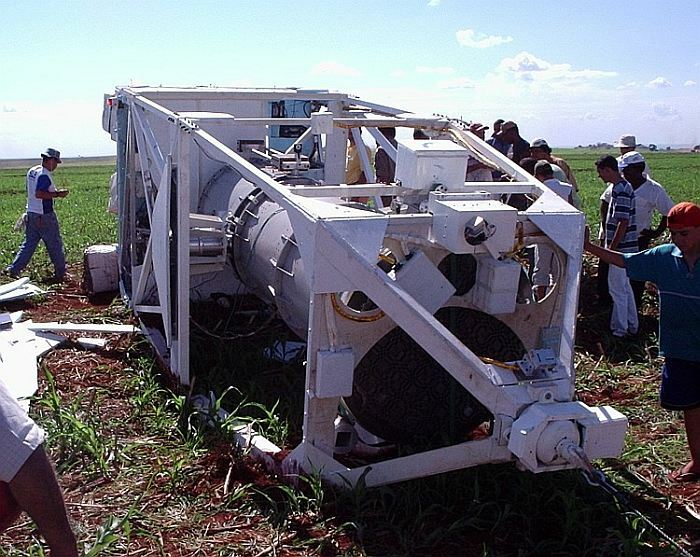 The balloon flown on this flight was the biggest one flown on all history of the brazilian scientific balloon program. This flight had two main targets. In the technological side, essentially it was related to proving the pointing system and the mechanical system of the gondola, wich worked satisfactorily. In the scientific side it was tried to observe the sources of the Crab, of the region of the Center of the Galaxy and, depending on the development of the flight, the Great Cloud of Magallanes. This objective could not be completely fulfilled by troubles in the electronics of the system of data acquisition.